The Laurel Highlands Hiking Trail is a 70-mile continuous footpath stretching atop the Laurel Ridge. It winds from Ohiopyle, PA to Rt. 56, near Johnstown, PA. The trail affords some great views of the twisting Youghiogheny River from high above Ohiopyle State Park, to the beautiful Conemaugh Gorge, near Johnstown, PA. It is open year-round. The purpose of this page is to provide some basic information to help you plan your hike. Although I make an effort to update this site as often as I can, please keep in mind that trail conditions can change rapidly. If you have recent information that you believe should be added to this page please contact me. And as always, you can contact the Laurel Hill Park Office with any questions about the trail. New! My wife and I are now offering lodging at our house in Somerset, PA! Somerset is located about halfway point of the trail. Come stay with us! We have three rooms available: Deluxe room with private bath, Room with shared bath, or Twin Beds with shared bath. 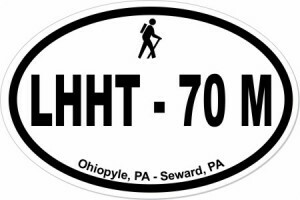 You can also order my LHHT book, Romancing the Trail, or a LHHT Window Sticker (pictured above). The Park Office is now located in Laurel Hill State Park. Before an overnight stay, you must contact the Park Office (814-445-8673) to reserve a shelter or campsite, or make an online reservation. No reservation is needed for a day hike. When entering the LHHT at any of the Trail Heads hikers are requested to complete information cards that are available at these entry and exit points of the trail. These cards are to be deposited in the drop-off boxes, also at the Trail Head. They help the State keep track of the number of hikers on the Trail. 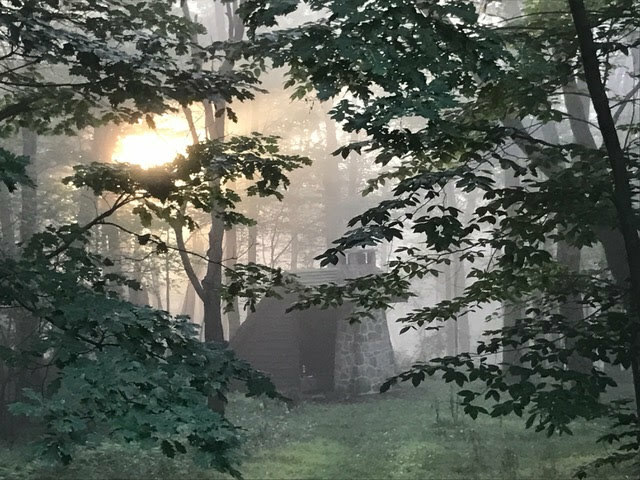 Here is the Park Office mailing address and phone: Laurel Hill State Park, 1454 Laurel Hill Park Road, Somerset, PA 15501; 814-445-7725 The Park’s web site can be found here. To make arrangements to use the locked, extended stay parking lot in Ohiopyle, either stop by the new visitors center in Ohiopyle, or call 724-329-8591. Overnight fee for a PA resident is $4/person per night for a Shelter, and $3/person for a tent site. Non-PA residents will pay $5/person per night for a Shelter, and $4 for a tent site per night. Park Rangers will occasionally visit the Shelter areas to check on reservations. In addition to the overnight charge, a $4 transaction fee is now being charged by the State for every reservation made. Reservations can be made on the Park’s web site, with payment by credit card. You CANNOT make online reservations for a shelter or campsite on the day of your arrival. That can only be done by phone. 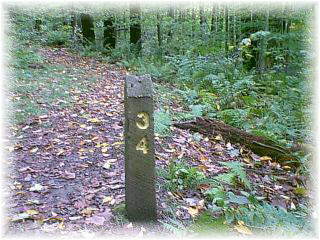 Phone reservations can be made by calling Laurel Hill State Park (814.445.7725). As of July 11, 2014, water is again available at all shelter areas – though it is non-potable. 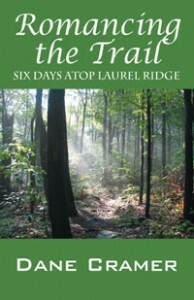 There are only three locations along the trail where treated, potable water can be obtained: at Mile 26, (just south of Seven Springs); the old Laurel Ridge Park Office (along RT 653); and the 653 trailhead parking lot. All other water along the Trail must be filtered, treated, or boiled. At Grindle Ridge and Turnpike shelter areas, the water is notoriously brown with iron. Click here to find directions to a spring near the Turnpike shelters where better water can be drawn. While hiking during wet seasons, you will find bodies of water and cross many streams. Not being familiar with their sources, I would not recommend drinking from these supplies without a method of treatment. The following table represents the water situation as of June 2018. Bidwell (Ohiopyle) Shelters The pump handle is in place, but water must be treated or filtered. It takes about 13 pumps. There is a small stream that runs by the Shelter Area that can also be treated or filtered. Grindle Ridge Shelters This is some of the most iron-rich water along the trail. It must be filtered before being consumed. RT 31 The water supply is reliable, but must be filtered. A seasonal stream runs through the site, which can also be filtered. Turnpike Shelters Pump water is poor quality. However, a there is a spring running through the site that offers better water. This spring runs all year round. RT 30 Shelters Pump requires 10-15 strokes, but is generally reliable. Water must be filtered or treated. RT 271 Shelters Pump water is unreliable in summer months. Parking lot always has water. Decker Ave (RT56) Shelters This shelter has the best water on the trail. However, treating is still recommended. Seward Parking Lot No water is available. Each Shelter area has five, open-face, lean-to structures, spread out in an area large enough to provide a reasonable degree of privacy. The Park lists occupancy as 5, but that is crowded. Three or four is about maximum for comfort. Each shelter has a fireplace that does a decent job of taking the chill out. Although you can cook from the fireplace, I prefer a camp stove. The chimneys don’t exhaust well, and it’s not unusual to have a smoke-filled sleeping area. Firewood is provided by the State Park, but you have to carry it to your shelter. (During winter months remember to check the privy as dry firewood is often stacked there.) During cold weather, tarps can be hung around the shelter opening to help contain heat. NOTE: PLEASE LEAVE DRY FIREWOOD FOR THE NEXT GUEST! In addition to the lean-to’s, about 30 tent spaces are available for more primitive camping at each shelter area. Some tent sites have fire rings and grills for cooking. There are plenty of places to hang your hammock. Each shelter area has a men’s and women’s privy, adequately stocked with toilet paper. The firewood is usually found close to the privy. Garbage can be left in the refuse containers. Click here to be redirected to a page which outlines each shelter area. The most frequently-asked question that I receive is: how can I get shuttled to the end of the trail? If you are lodging at our house through Airbnb we will do our best to help you with a shuttle for a nominal fee. Wilderness Voyageurs is recognized by the State Park as an official shuttle service company. I make no guarantee of their prices or availability. Contact them at 800-272-4141. Free parking is available at various points along the trail. The following table provides details. 0 Ohiopyle Free, overnight parking is permitted with prior authorization. Contact Ohioyple State Park for approval: 724-329-8591. 11 Maple Summit Road Overnight parking is permitted. Trail runs close by the lot. 18.8 RT 653 Parking lot located just off of RT 653. In the winter, this parking lot gets plowed earlier than others. Located near the old Laurel Ridge Park office. 30.6 RT 31 Parking lot is located about 3/miles off of RT 31. 45.8 RT 30 Parking lot located just off of RT 30. 56.9 RT 271 Parking lot located just off of RT 271. 70.0 Seward Parking lot located just off of RT 56. Black bears are plentiful in Western PA, and can be occasionally seen on the LHHT. However, ever since the Park installed bear-proof garbage canisters at the Shelter areas, they have not had nuisance-bear problems. Western PA bears do not have a lot of contact with humans, and are therefore easily frightened off. However, hikers should be aware of the threat posed by bears, and not try to get too close to them. Food should not be left out overnight. Rattlesnakes live on the ridge top, from Seward to Ohiopyle. They can often be seen sunbathing on the rocks during warmer weather. Rattlesnakes are poisonous and should be avoided. Although they are not aggressive creatures, they will strike if they feel threatened. Their rattling sound is made to warn you of their presence. However, hikers should not rely on their rattle to be alerted to their presence, but should keep an eye out for them on the trail. Ticks, in the mind of this author, pose the biggest health threat to hikers. Some ticks can carry Lyme’s Disease, which can lead to very serious health problems. Ticks cling to high grass and leaves and wait for a host to walk by. Because of their small size, they can attach themselves to their host without causing any pain or other sensation, and are not discovered until sometime later. They should be removed cautiously.To avoid ticks, hikers should stay on the trail as much as possible, and avoid high grass. Another method of preventative care that is highly recommended is to treat all clothing with Permethrin. This repellent has been proven effective in repelling not only ticks, but other biting insects as well. This author regularly uses it. The Laurel Highlands Hiking Trail is well marked with 2″ x 5″ yellow blazes that appear about every 100′. The trail is well-worn, and generally very easily visible. Even in wintertime the trail can be followed. Side trails are marked with blue blazes. Each mile is marked by a small, concrete pillar denoting the mileage. This makes it very easy to figure out where you are in relationship to the next road or shelter. My wife and I now offer overnight lodging at our house in Somerset, PA. Click here for more details. Ohiopyle Campground is located just a few minutes drive from the Trailhead. Wilderness Voyages in Ohiopyle, PA, carries some backpacking/hiking gear, as well as a few quick food items. It may be best to call them ahead of time to see what they have if you are planning on stocking up before your trip. Highlands Market is located along County Line Road, just off of the LHHT, south of the 29 mile marker. It is about a five-minute walk from the trail. Highlands Market is a small grocery store/cafe. Snack foods, power bars, and drinks can be purchased there, as well as some pharmacy items and other necessities. The deli offers made-to-order sandwiches, with inside or outside dining available. I recently stopped there. The staff is very “hiker-friendly,” inviting my party to use the restrooms and charge our devices. It is a great stop that is located close to the half-way point of the trail. Check their site for hours of operation and menu choices. Click here to download a copy of the LHHT map and elevation profile. Click here to be directed to my LHHT Caltopo Map Page. Every year – on the first Saturday of June – a grueling foot race is held on the LHHT. Rick Freeman, director of the race, maintains this site, which provides more information. I have done both south-to-north and north-to-south thru-hikes. Both are enjoyable. However, I think that I prefer hiking SOBO since it ends in a busy town with restaurants (and a free shower house). A NOBO hike ends in a quiet parking lot. The LHHT is not a loop, therefore, dayhikes are mostly “out and backs,” meaning that you walk out from your car, and return the same way. You could park at any of the trailheads to begin a hike. One section that I often recommend to people looking for an easy hike that includes a nice view is to park at the RT 653 trailhead and walk north on the LHHT. It is around a three mile walk to Middle Fork view. There, atop Bear Rocks, the hiker has a beautiful vista and nice picnic area. The hiker then turns around and walks back to RT 653, or moves three more miles to Seven Springs (if you’ve arranged for a ride). This section has only a slight altitude gain/lost (60 ft.). I hope that this resource is of assistance to you. More importantly, I hope that this page has helped you to get outside where you might enjoy the wonder that is found in Western PA.